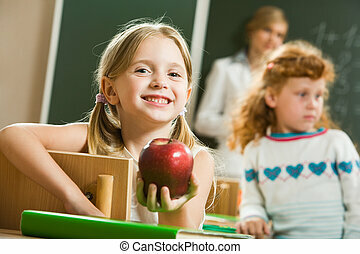 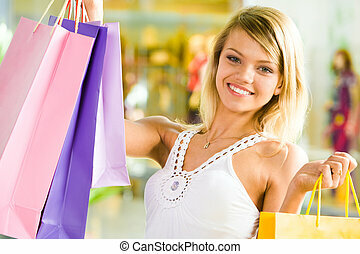 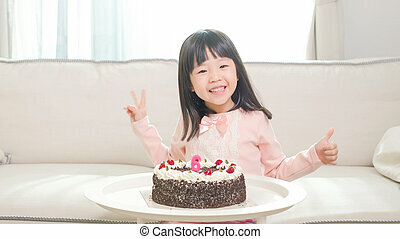 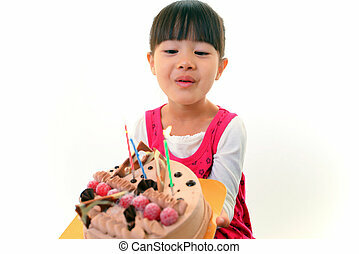 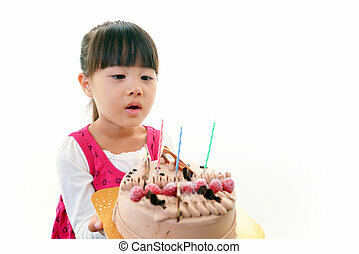 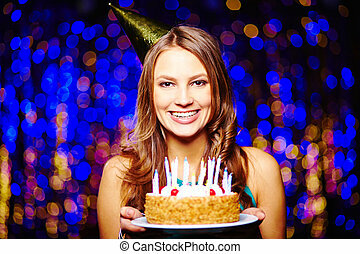 Girl with birthday cake. 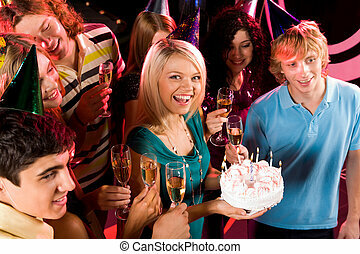 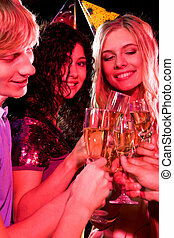 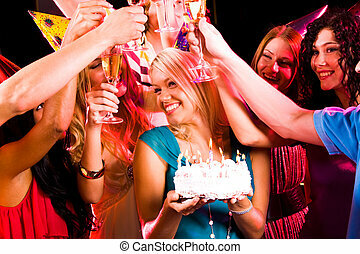 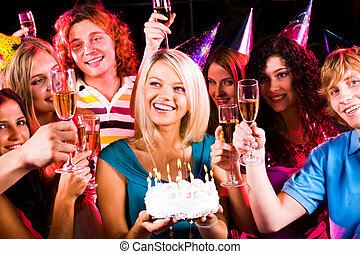 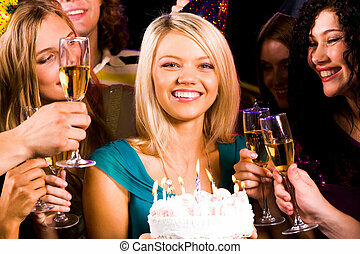 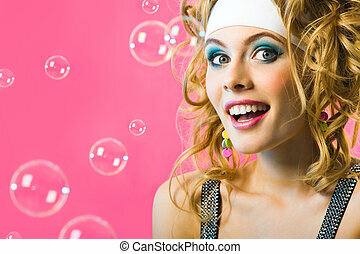 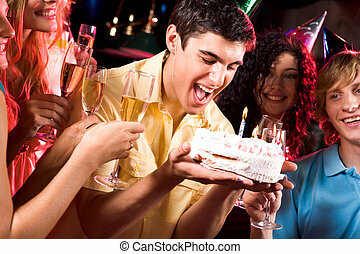 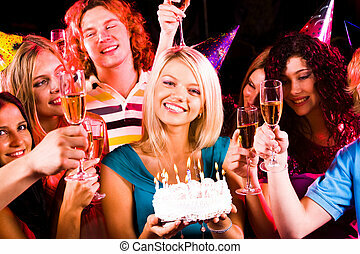 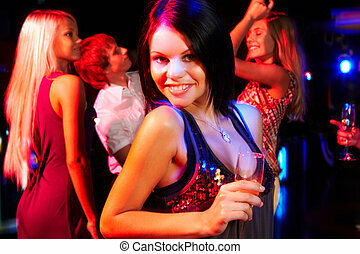 Portrait of joyful girl holding birthday cake surrounded by friends with flutes of champagne. 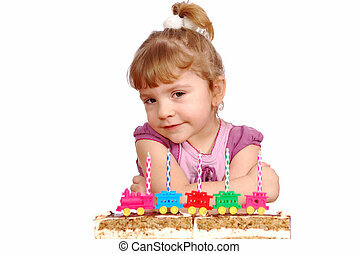 Pretty beautiful girl with birthday cake on birthday party. 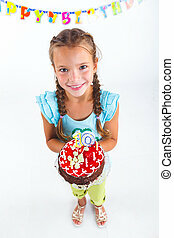 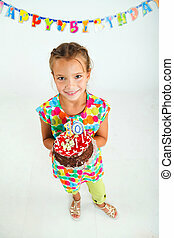 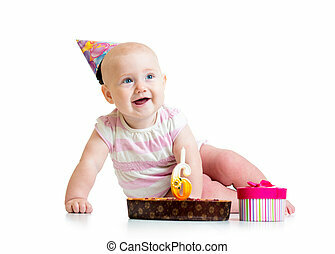 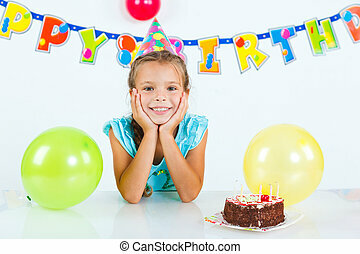 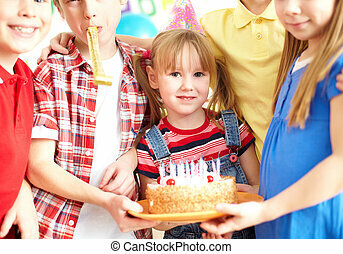 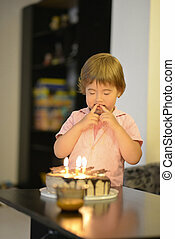 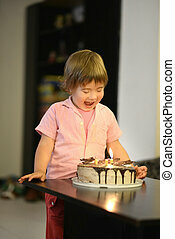 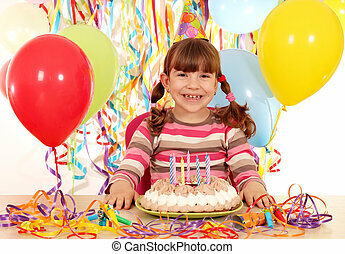 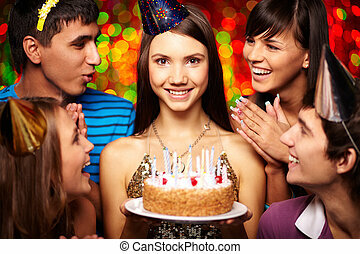 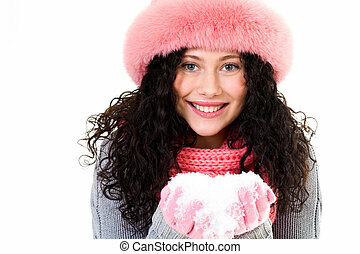 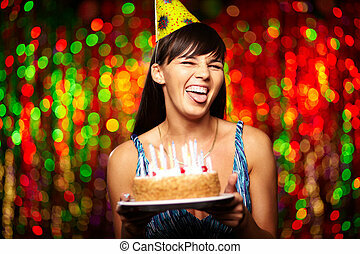 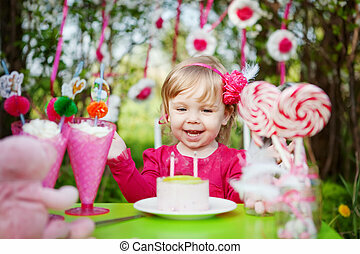 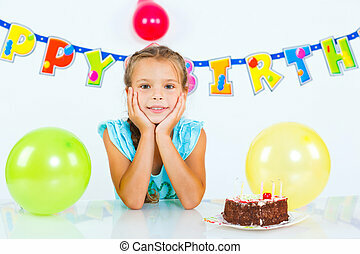 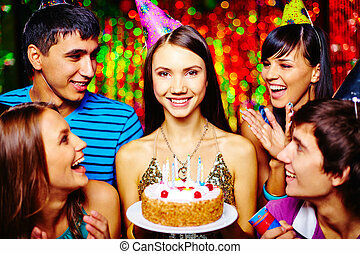 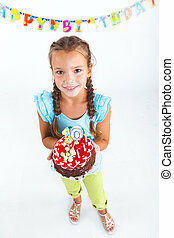 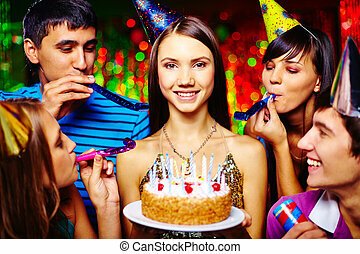 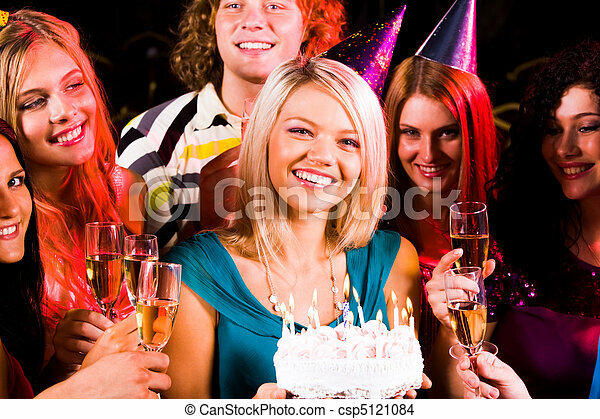 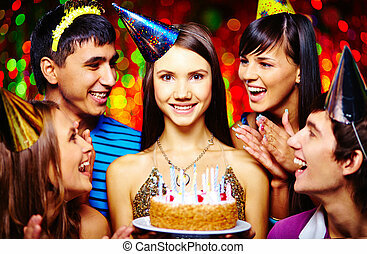 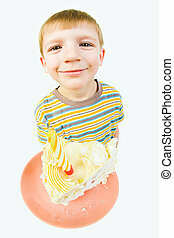 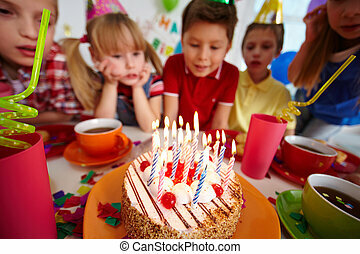 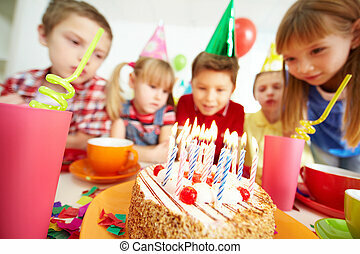 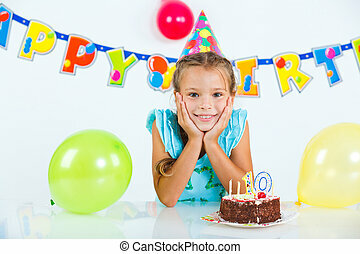 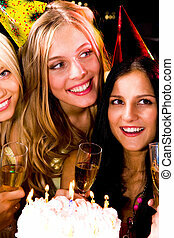 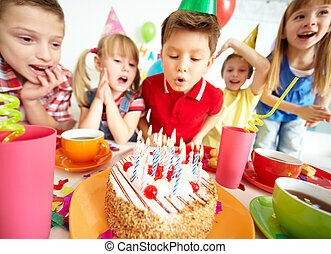 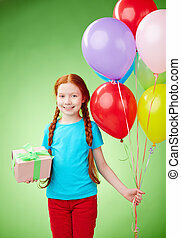 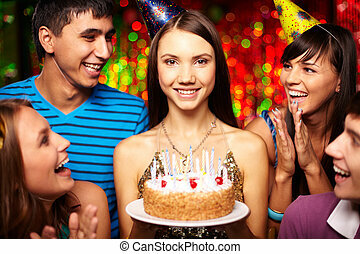 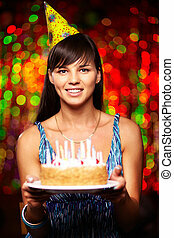 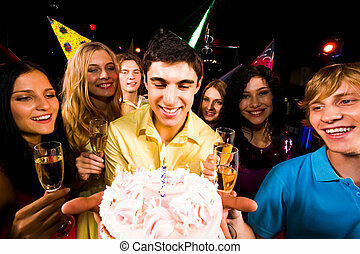 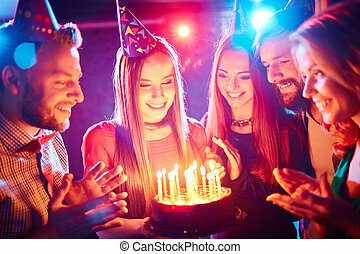 Portrait of pretty beautiful girl with birthday cake on birthday party.